Place a planter pot or other decorative item on each of the each on a different level - To give any space the perfect dash of elegance and beauty.Perfect for displaying your vibrant plants. Tips: Only include flower racks, Not including plants, The other is only shooting props, Please choose the appropriate size before placing orders. The material---Made of steel production, Manual welding, High temperature baking, Easy to wear, WaterProof and rust-Proof, Durable and strong;The bottom of the support balance,Not swing, Higher security;Strong fixed structure,Bearing strong,Stable and durable. 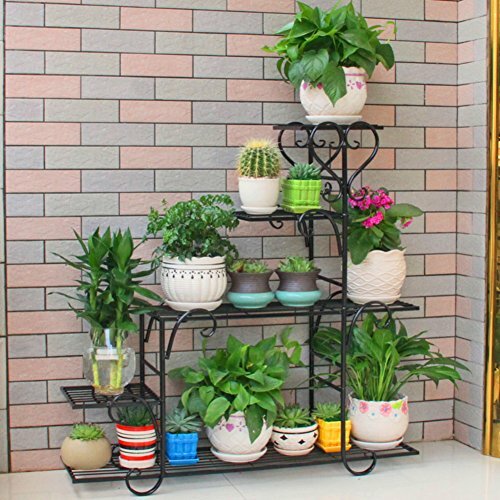 Multi purpose---This charming corner rack can be used to show off your favorite potted plants and keepsakes or as a convenient place to store shoes, Handbags and other items. Assembly---Easy to assemble, Very convenient; High-Quality accessories, Durable. If you have any questions about this product by Private home textiles, contact us by completing and submitting the form below. If you are looking for a specif part number, please include it with your message.